Google’s Android operating system is the one of the most famous operating system that is running in most of the smart phone nowadays. As we all know Android phones are progressing very rapidly. Conceived as a counterpart IOS, Android is a graph showing a significant development in the mobile technological field. Easy to use thousands of applications via Google play store. Having number of apps that may really excite you. Whatever topic it may be, you have apps for everything right from Battery checker to e-book apps. Multitasking phone which allows you to operate different things at the same time. Can install a modified ROM which means that you can customize your android phone’s operating system. With the widgets available in the home screen you can easily access the different settings quickly and easily. Google maniac which allows you to check your gmail within seconds. Thus, Android is a very flexible operating system which means that according to your requirement you can put it into many uses. Android beam is a feature of Android mobile operating system to allow data to be transferred via near field communication (NFC). It allows instantly transferring of short range exchange such as Web bookmarks, contact info, Youtube videos, etc by just touching one NFC enabled device to another typically back to back and then tapping send option. Many new Android phones have integrated Android beam which allows you to send the content between the devices just by pressing them back to back. Before you can transfer any contents from your phone to another phone, just check that you have Android beam support or not. To check that, go to device settings screen, tap more under Wireless and networks and check if both NFC and Android Beam are enabled. If you don’t find NFC hardware your device probably doesn’t include NFC hardware. It may also be due to old version of Android since it was introduced in Android 4.0, Ice cream Sandwich. It is really amazing when we know that we can take screenshots in Android phones. It is just super easy. Just Hold down Home, Power, Volume up buttons at the same time. It seems that there are two methods for taking screen shots for the android phones. Other method just like the first one is, pressing the option “Take a screenshot” option available from the Power off menu in some phones. Press and hold the power buttons for 1 or 2 secs until the power option screen appears. Then you will get that option of “Take a screenshot”. But before you can take a screenshot you have to check on the version of Android we are using. If you are using relatively latest Android versions such as Honeycomb, Ice cream Sandwich, Jelly bean, or Kit Kat which makes the screen shots to doddle. Phones that are running Android 4.3 have an ability to create short films by editing together videos, photos that you have stored on your device. You might have seen a similar kind of short movie creation in your Facebook account. Just like that you can create your own Android movie with your own photos and recordings. For that, you have to go to the settings of Google+ and turn on Auto Backup option so that your photos are saved under a private folder in Google+. Select your own styles, themes and colors for your movie. Choose the Photos option in the top of the settings and select your favorite photos and videos that you like to add to the movie. Now, a beautiful movie is created in your phone. 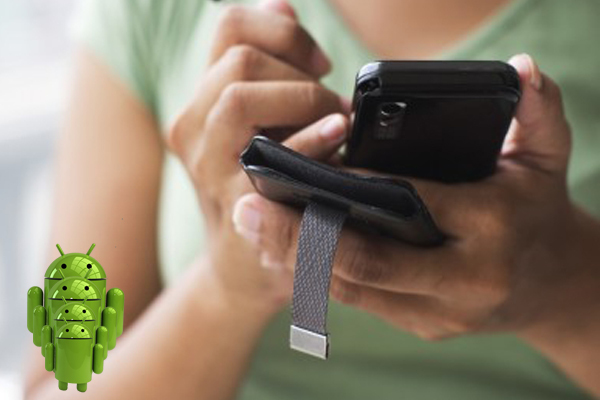 Do you know that get detailed information's about your Android phone’s battery? You can see the details such as Voltage, ADC, RSSI readings by dialing “*#0228#”. Just type the above number and check the details of your battery. Most of them would have not noticed an option called “Smart stay” in your Android phones. This option allows the phone to stay bright without the back light getting off until you take away your attention from your phone. This is rather a cool option that everybody must try and see. Go to settings->Security->Show owner info on the lock screen(For Samsung phones Settings->Lock Screen->Lock Screen Widget-> Owner information), and then type on whatever information you have to display in the lock screen. Just go to Settings->About Device, tap on “Android version” until an image shows up(a “K” in Android 4.4 Kit Kat) and then hold down on the image until the animation begins. In other versions you can find different animations and have fun. Hope this article would have been an interesting one.